N-P-K. Nitrogen, Phosphorus and Kalium (Potassium). Three letters you will very likely encounter when strolling through a garden center or nursery and looking at fertilizers. They are often followed by numbers, e.g. 20-10-8. It stands for the ratio of the three elements mankind deemed crucial for the plant's growth. Different plants require different nutrition. Some need more nitrogen, while others prefer an even distribution. 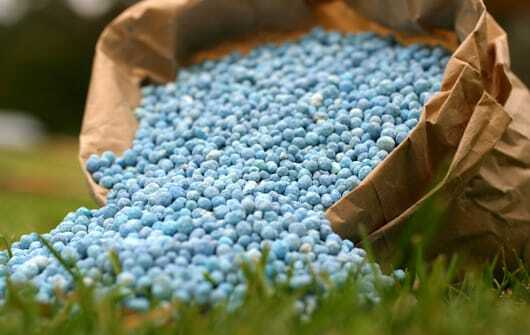 The problem I see in synthetic fertilizers, is that they often lack certain elements that nature would give them. A good example for this is lead. In larger quantities it can pose a problem, but when dosed correctly, it can benefit the plants growth. Ahhh... who doesn't enjoy a bright, sunny day? Exactly. Plants love sunlight, too! In fact, they need it to survive. It's where the plant gets its energy to perform neccessary chemical reactions. One of those reactions is the combination of water and CO2 into sugar. The more light a plant gets, the more often this reaction can occur - which means more sugar, making the plant sweeter! That's why strawberries from sunny fields taste so sweet. Simple! On your plant tag or seed bag, you will find instructions on where to plant. If a plant requires sunlight, I would try to place it there. If you place it in a shady spot, it might grow quite well, but definitely not to its full potential. This doesn't mean that you should put everything into scorging hot sunlight, but just that you should try to follow care instructions. They're there for a reason. However, it won't hurt the plant when it's not placed in the ideal spot. Most of them are fairly resilient. To maximize efficiency, though, try to make it as good as it gets. Water is very important! It's by far the biggest issue new gardeners have to face. But you can learn it! Many gardeners don't give enough water, but many also over-water and let the plants drown. When planting in a garden with loose, well-draining soil, it's not that big of a deal if you give too much water (because it will be absorbed by the soil and not cause root damage). As containers don't drain as well, you have to be a bit careful with how much water you give. I'll say it again: read the plant tag! Rule of thumb: Check your containers every day, for example by sticking your finger into the soil and checking whether it's dry. With a bit of training, you will feel it in your bones! - Not literally :P.
Lots of information to deal with, I know. So what do you take away from this? There are three main things you should keep in mind when caring for your plants. The right nutrients and the correct amount of sunlight and water. You don't have to match the instructions perfectly, the perfect care may even be different in your location. So experiment with plants! Put one into sunlight, the other in the shade. Give store-bought fertilizer to one plant, compost to the other and just soil to the third! That way you will learn what works best for you and your green-space!